Two week countdown: the mandatory HMO licensing rules change on 1 October 2018. Are you ready? With less than two weeks to go until the mandatory HMO licensing rules change across England, London Property Licensing is publishing the fifth of six weekly updates to raise awareness of the new licensing requirements and help landlords to prepare. On 1 October 2018, the mandatory HMO licensing scheme is being extended to most Houses in Multiple Occupation (HMOs) that are occupied by five or more people who are not all related and where there is some sharing of facilities. The scheme was previously restricted to properties that were three or more storeys in height. One of the few exemptions will apply to multi-occupied self-contained flats within purpose built blocks where the building comprises three or more self-contained flats. The government have decided to exclude such properties from the mandatory HMO licensing scheme. How much will it cost to apply for an HMO licence? You will need to pay a separate application fee for each property that requires a licence and the fee must be paid at the time the application is submitted. If you are hoping to pay just a few pounds per property, you may be in for a shock. There is no consistency when it comes to HMO licence application fees. They can vary significantly from a few hundred pounds to a few thousand pounds. The legislation makes clear the money cannot be used to cross subsidise other service areas. So, the licence fee you pay cannot be used by the council to fix the roads or fund adult social care. In London, each borough decides its own fee structure and they are all calculated in different ways. Some councils impose a fixed fee per property regardless of the size of the house and number of occupants. Some charge a baseline fee with an additional amount for each bedroom or letting. Others have no baseline fee, but charge a fixed amount per bedroom, habitable room or letting. There are also other factors to consider. Some councils offer a discount to accredited landlords or registered charities, whilst others impose an extra charge if they issued a warning letter before the application was submitted. Taking all these factors into account, it can be difficult to compare licence application fees. But, research by London Property Licensing makes this possible. To ensure a fair comparison, we have been monitoring the cost of HMO licensing fees for a three-storey shared house occupied by five single people, without any discounts or extra-over costs applied. On this basis, the average fee for a three-storey five bedroom HMO in London is currently £1,151. Average licence fees are also on the increase. Our research shows the average HMO licence fee for a five bedroom property has increased by 28% over the last four years, far outstripping the rate of inflation. You may also want to study the research on HMO licensing fees that we carried out for the National Approved Letting Scheme earlier this year, published here. Do I need to pay the full amount at the time of application? This is an interesting question and made more so following a recent Judicial Review involving the London Borough of Richmond upon Thames (here). The court ruled that the fee charged at point of application can only cover the costs of processing the licence application. If the council want to charge extra towards the cost of administering and enforcing the licensing scheme, that needs to be charged separately once the application has been processed and the council are ready to approve the licence. This approach can have a significant impact on landlords’ cash flow, given some applications are currently taking 12 months plus to approve. For landlords with a portfolio of licensable properties if can help to spread the payments over a longer timescale. Some councils are already adopting this approach. For example, Ealing Council charge 30% at time of application with the balance due when the licence is ready for approval. Others are still collecting the full payment in one instalment, which could lead to further legal challenges if not amended soon. With many council’s currently reviewing their approach in light of the Judicial Review decision, we understand Bristol City Council have temporarily stopped taking fee payments. They have said they will contact applicants to collect the relevant fee once their new policy is in place. 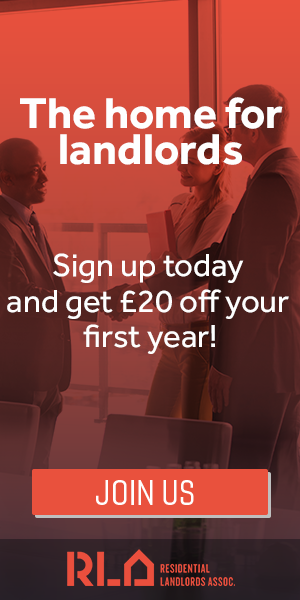 “A 28% increase in HMO licence application fees over the last four years is increasing the cost of private renting which may be passed on to tenants in the form of higher rent. "I’m also seeing some landlords withdraw from the HMO market due to high fees combined with the increased regulatory burden of licensing. This reduction in supply could adversely impact on single people and groups of sharers – be they students or young professionals”. The London Property Licensing website contains a free guide to the property licensing schemes in every London Borough. Simply click on ‘Select borough’ at the top right of the page to check the rules in your borough. A free guide to mandatory HMO licensing which is relevant to landlords and letting agents across England and can be found here. A number of events are being held in September where landlords can find out more about the changes to mandatory HMO licensing. Details can be found in our London events guide here. Need help? Several companies that offer a licence application handling service in the London area can be found in our Landlord Suppliers Directory here. This is the fifth in a series of six weekly updates that are being published to help explain the changes to mandatory HMO licensing that come into force on 1 October 2018. For all the latest news and events, you can sign up for the free London Property Licensing newsletter here.